While Kyocera is a 'top dog' in some consumer manufacturing circles, perhaps most notably its copiers, it’s a much quieter player in the cell phone business. Though their offerings may not grab headlines for breakthrough technology, they are certainly a respectable line of well-made and reliable phones. 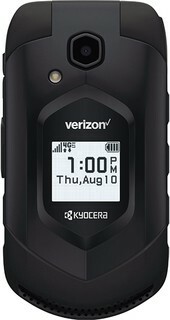 Kyocera was formed in 1959 and went on to become a very well regarded general consumer electronics manufacturer, but their cell phone business did not begin until early 2000 when they purchased the phone manufacturing unit of American company Qualcomm to form Kyocera Wireless. 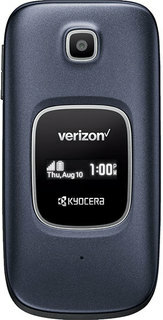 With the exception of a handful of clamshell models and one swivel, all of Kyocera’s models are of a candy bar form factor and most are sold to CDMA carriers. Many of the models are entry level and a few offer a slightly more enhanced feature set. 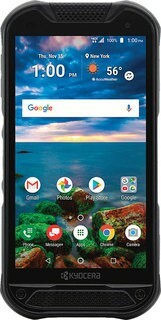 For $100, the Kyocera Hydro Reach fits the bill if you need an outdoor-friendly phone that can run basic apps, surf the Web, and make calls. The LG Tribute 5 has a slightly better camera and longer battery life, but it lacks waterproofing and its display doesn't pack as many pixels. Sadly, there's a lot holding the Reach back. The design is plebeian and not executed as well as it could be, voice quality is below average, the screen is average, and battery life is on the edge. The UI works well enough, but the processor doesn't provide enough oomph. The biggest issue is the camera, which is truly bad. If you care about photography at all, stay away from this phone. Can't get alarm clock to work.Set the alarm and no sound. Battery doesn't stay charged while plugged in if you're running an app. Lasts maybe 6 hours fresh out of the box, max. I agree 100% with Ed Big waste if money. Visit the Kyocera Q&A Forum to get answers, ask a question or help others.